Achieving success in healthcare is no easy task. Technology can help. In many ways, technology has revolutionized the healthcare industry – but that doesn’t mean that every aspect of the industry has caught on. As you know, there are still certain departments within every healthcare organization that lag behind when it comes to adopting new technology. Medical staff services is one of the biggest offenders and it’s hurting your organization more than you may think. With the right technology, we’ve seen credentialing become one of the biggest drivers of success for healthcare organizations. 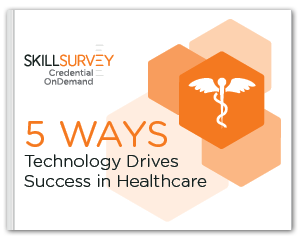 Check out our eBook, 5 Ways Technology Drives Success in Medical Staff Onboarding, and learn how implementing advanced credentialing technology can turn your onboarding process into one of your organization’s most valuable assets.